The floors aren’t ready, your edgebander is down, the hardware is on backorder, and the doors are damaged – should I keep going? How many happened to you this week? How many will happen to you next week? Networking with other closet company owners at the Closet Conference in Pasadena is your answer. 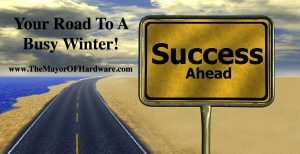 I know you’re too busy to leave for 3 days – what happens if your installer hits a pipe – who will fix it? This is why you must attend! will be in Pasadena the week of March 21st. Here’s the thing – it’s not enough for you to attend the Expo portion of the week, you have to attend the educational conference. That’s where the connections are made so that when you get back to your office if and when you have a question, you have someone to call. I know you have been doing this a long time – but you don’t know what you don’t know. Attending the conference is sure to open your eyes to something new. There is still time for you to buy your ticket and join the 100 other conference attendees. Use discount code EVEREA16 and get into the expo floor for free. 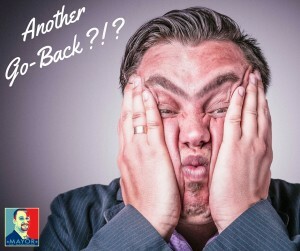 Even if you don’t come back with a new business strategy – the time away will re-charge you so that you are ready to get thru the busy Spring season and the next fire drill. In the comments section below – leave your favorite experience from a previous Closet Conference…. I can’t wait to see you in Pasadena!! I was lucky enough to have one of the leading closet companies in the country write a guest post for my blog. Following are their suggestions for tight spaces. Hope you enjoy! Too many clothes and not enough storage? We’ve got you covered. While the perks of city living are many, the smaller spaces and minimal storage that are generally part of the deal can pose challenges to the urban dweller. When it comes to closets, you’re almost always faced with a tight squeeze. That’s why, whether you’re dealing with a small reach-in closet or no closet at all, it’s important to make every inch count. Read our tips and tricks below on how to get the most out of your small space. Use vertical space and take advantage of empty and unused nooks and crannies – even if you can’t reach them easily. Take lesser-used items, like ones that are out of season, and store them in airtight space bags on the highest shelf. This will open up space at eye level for items you use on a daily basis. Consider hanging an extra rod, poles, or hooks against the side walls for additional clothing or for accessories like scarves or belts. Including boxes and baskets along the side wall or above the highest shelf can add additional storage space for extra oddities and infrequently used items. 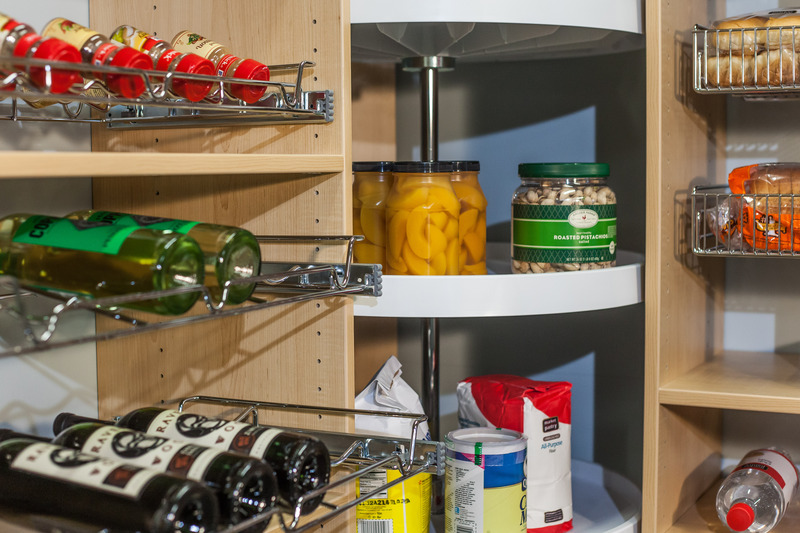 Adjustable shelves can turn a one-rod-closet into a multi-dimensional space for your shoes, seasonal items, and additional accessories. For bulkier items – like thick winter sweaters – adjust your shelves to create a taller space; similar sized shelves work well for stacking jeans and pants too. T-shirts, workout clothes, shoes, and other less bulky items can live on short shelves. Decorative cubes can also fit nicely to hold undergarments or socks. 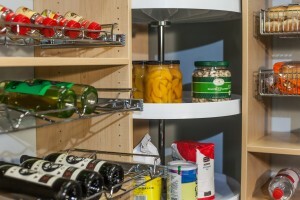 Be sure to use durable shelf supporters to lock shelves into place for extra strength and safety. 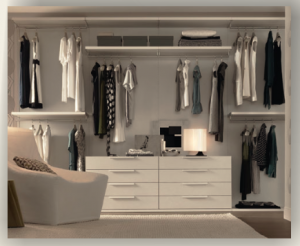 Visibility is key for any closet size, and being able to see all your clothes is an essential part of getting dressed in the morning. Take advantage of the many accessories available, like slide-out belt and tie racks that can be hidden easily when not in use. For shoes, try hanging them over your closet door or stashing them under your bed in a tidy roll-out storage drawer. Haphazardly throwing them on the floor of your closet will create a mess and make your closet seem smaller than it already is. When you’re faced with a tiny closet, the right hangers can keep you organized and help you maximize the little space you have. Tiered hangers, for example, are perfect for all your clothes, allowing you to conveniently stack your garments. Nothing shrinks a closet like a pile of clothes spread out on the floor. To keep your clothes in place, think about investing in wood, cedar, or felt hangers. The sturdy, durable materials will preserve your clothes longer and keep them from falling to the floor. While there are blogs and websites with DIY tips on transforming your small closet space, it helps to seek professional advice. 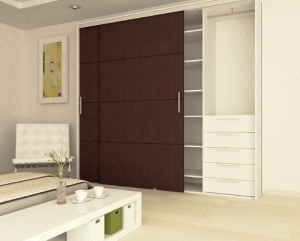 Quality materials and hardware are essential to building a closet that will last. 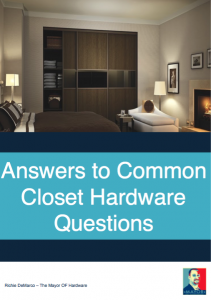 Our designers at Closet America – along with leading hardware providers like The Mayor of Hardware, Richie DeMarco – will help you create smart organization solutions to make the most of your diminutive space.